The La Plata River Basin, extending over 3.1 million km2, includes southern Brazil, southeast Bolivia, a large part of Uruguay, the entirety of Paraguay and an extensive portion of the central and northern parts of Argentina. The three main river systems comprising the La Plata River are: the Paraguay River, with an annual average flow of 3,800 m3/s (at Pilcomayo Harbor); the Paraná River, with an annual average flow of 17,100 m3/s (at Corrientes); and the Uruguay River, with an annual average flow of 4,500 m3/s. These latter two rivers come together to form La Plata River, draining to the southwest Atlantic Ocean, with an average output of 25,000 m3/s. This outflow enriches the waters of this Large Marine Ecosystem (LME), creating conditions conducive to a great variety of marine species and coastal ecosystems. A large wetland corridor links the Pantanal, which is located at the headwaters of the Paraguay River, with the Delta del Paraná, at its outlet to the La Plata River. Climate change scenarios show an increasing process of desertification within this region, which, when combined with high poverty index values and the presence of indigenous communities, make the Yrenda-Toba-Tarijeño Aquifer System (SAYTT) a top priority for the integrated surface-groundwater management. The overall objective of the proposed project is to assist the governments of Argentina, Bolivia, Brazil, Paraguay and Uruguay, within the framework of the CIC as the agreed intergovernmental organization set forth for this purpose in the Treaty of the La Plata Basin, in managing the shared water resources of the La Plata Basin in an integrated manner. The project will focus on environmentally sustainable economic and social development, as well as adaptation planning and assessment, in light of the effects of climate variability and change to the hydrology of the Basin. 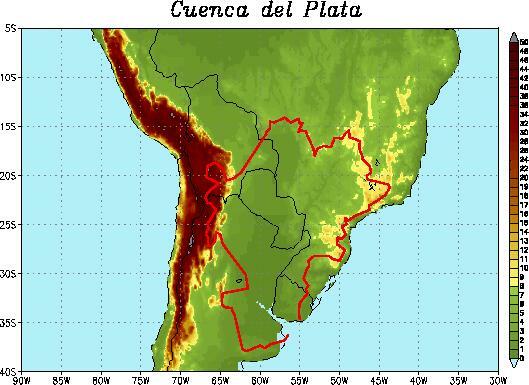 The outcome of the Strategic Action Program (SAP) will be such that the governments of Argentina, Bolivia, Brazil, Paraguay and Uruguay will coordinate actions and investments in the La Plata Basin to achieve sustainable utilization of its water resources, adapting to climate variability and change, mitigating their negative impacts and capitalizing on the opportunities that such variability and change may provide. The principal outputs of this proposed project will include the formulation of a detailed Transboundary Diagnostic Analysis (TDA) and SAP, including a comprehensive structured program of actions to address local adaptation needs, while simultaneously generating global environment benefits and strengthening the institutional and legal framework and technical capacity necessary for the long-term implementation of the SAP, taking into account the implementation plans and financing strategies agreed by the Basin countries. This project will thus ensure strengthened management of shared water resources through the development of predictive and decision support tools for climate induced alterations. A large wetland corridor links the Pantanal, located at the headwaters of the Paraguay River, with the Delta del Parana, at its outlet to the La Plata River. This system of interconnected wetlands is essential to the existence of high biological diversity and productivity, foremost characteristic of the La Plata Basin. The availability of large volumes of groundwater demands an integrated approach to the management of surface and groundwater in the Basin, while specific measures and management strategies are required for the management of groundwater aquifer systems. Important groundwater systems include: most of the Guaraní Aquifer System (1,190,000 km2 in extent), one of the largest continental groundwater reservoirs in the world comprised of confined deep groundwater bodies, and the Yrenda-Toba-Tarijeño (SAYTT) Aquifer System, entirely contained within La Plata Basin in the semiarid Chaco of Argentina, Bolivia and Paraguay. A published review by the World Resources Institute defines the La Plata River system as one of the most important river basins in the world. The system includes a great number, variety, and degree of endemism in fish species, which are located in the Paraguay River sub-basin, and the highest numbers of native birds, which are located the Parana River sub-basin. Mineral resources, forests, and soil fertility favor economic development and make the La Plata Basin an attractive population region, sustaining 70% of the five countries GDPs’. Present populations exceed 100,000,000 people, with 57 cities having more than 100,000 inhabitants—including four capital cities: Buenos Aires, Brasilia, Asunción, and Montevideo. The Argentine, Brazilian and Uruguayan economies, with a strong agriculture and cattle component, include a significant level of industrial and service production, while Paraguay maintains an agriculture based economy. Bolivia’s economy is mainly based in mining, oil and gas. 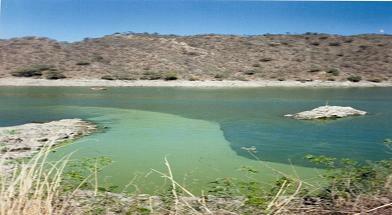 Nevertheless, agriculture represents an important source of income within the Bolivian part of the La Plata Basin.